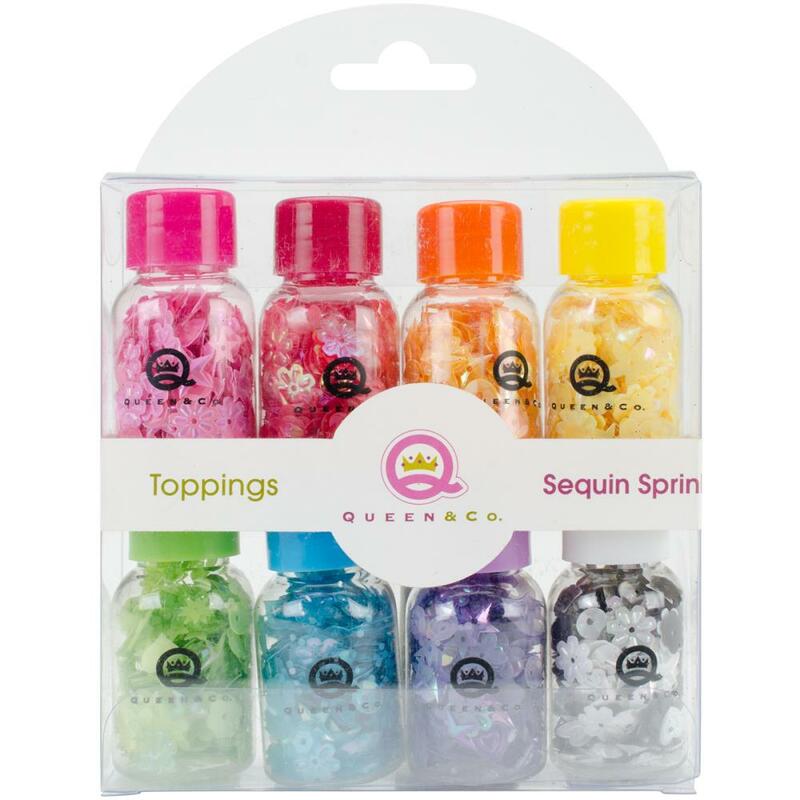 Queen & Co-Topping Set: Sequin Sprinkles. A fun addition to any paper crafting project! 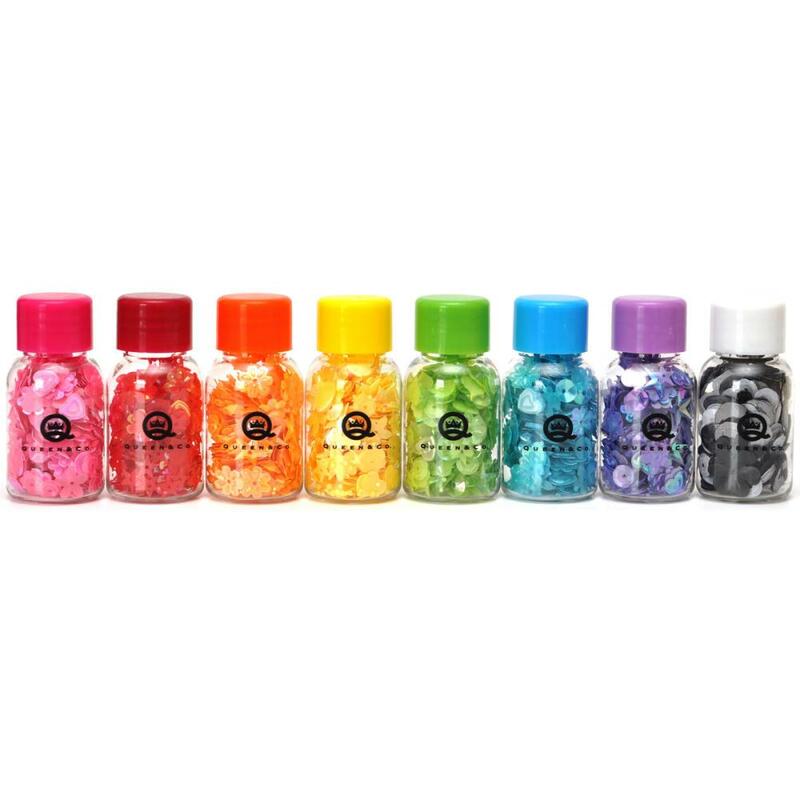 This package contains eight 20ml bottles of sequin sprinkles in assorted colors. Imported.